Would you like to know about mental health? Are you familiar with the signs and how to help those with mental illness? 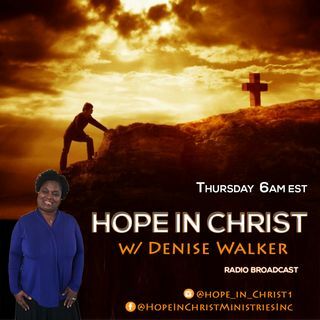 Click to listen to Denise's interview with Evangelist Angie Bee as she shares signs and what to do to assist. Angie Bee is also an author, speaker, ministry leader and entrepreneur. Her evangelism troupe is "The TOUR that Angie BEE Presents" and her audiobook production agency is Angie BEE Productions. She has various book titles. Her first is Last Week I ... See More Wanted To Die - mental health and suicide survival and her latest MAAA! - Motherhood.